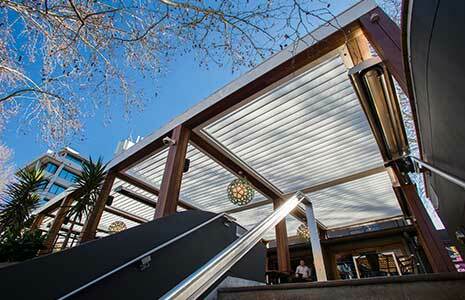 The SkyMax Aerotech Opening Louvred Roof System was successfully integrated into the Commodore Hotels recent refurbishment project. Located centrally in North Sydney on the Blues Point Road restaurant precinct. The Commodore Hotel is now offering complete comfort year-round, out on their expansive deck area at the front of the hotel. 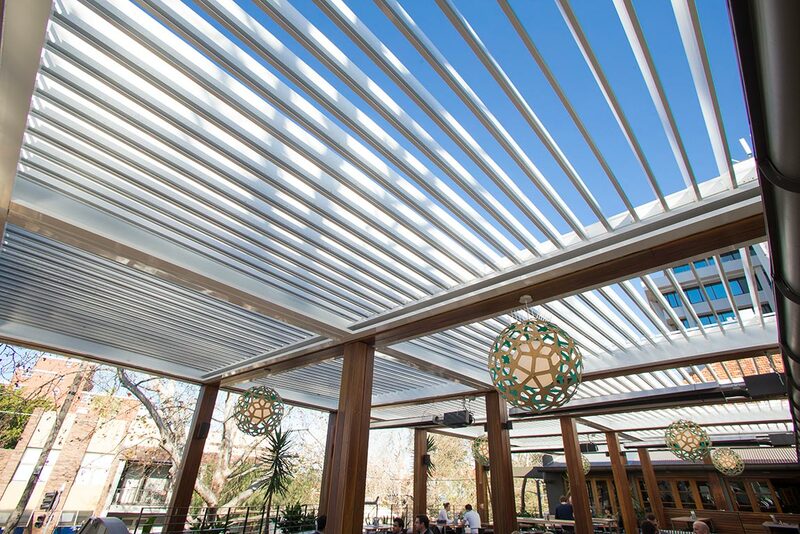 Patrons now enjoy complete rain protection with the flexibility of controlling sun, light & ventilation. 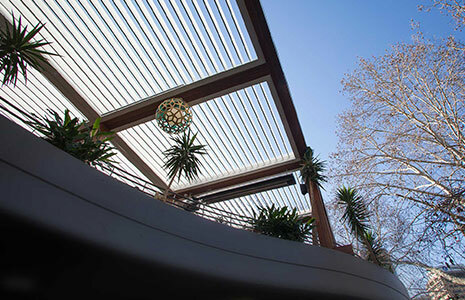 The SkyMax team was commissioned for the installation of the motorised Aerotech Opening Louvred Roof systems that offer a functional solution against the elements with the inclusion of the integrated heating, lighting and side-blinds that provide year-round comfort.